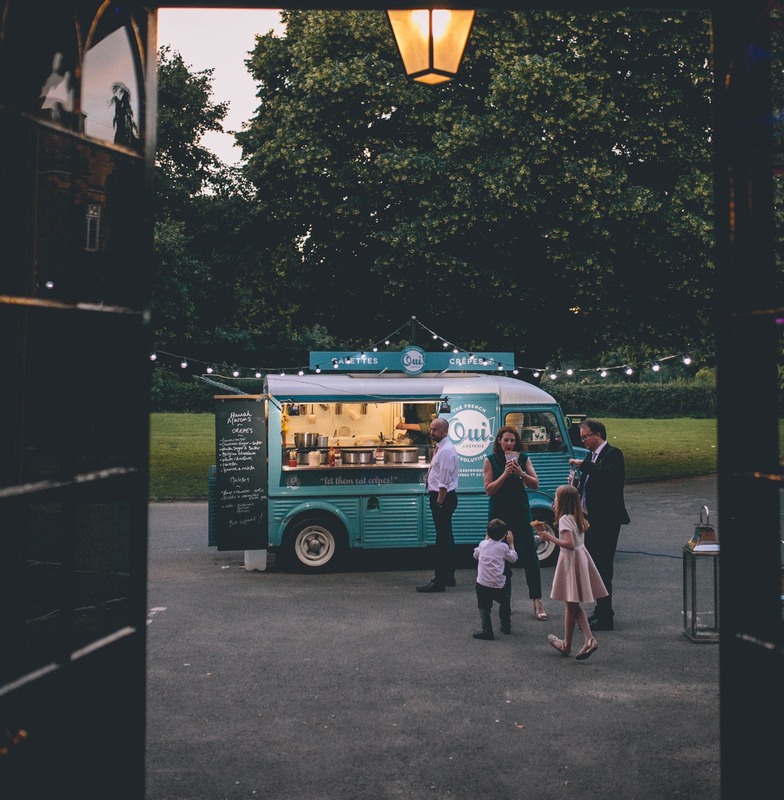 The French Revolution’s iconic truck and crew will definitely charm your guests - the theatre of crepe making is a spectacle in itself- people love to stand and chat, so the queues will always be entertained - they even play music from their very cool vintage speaker! 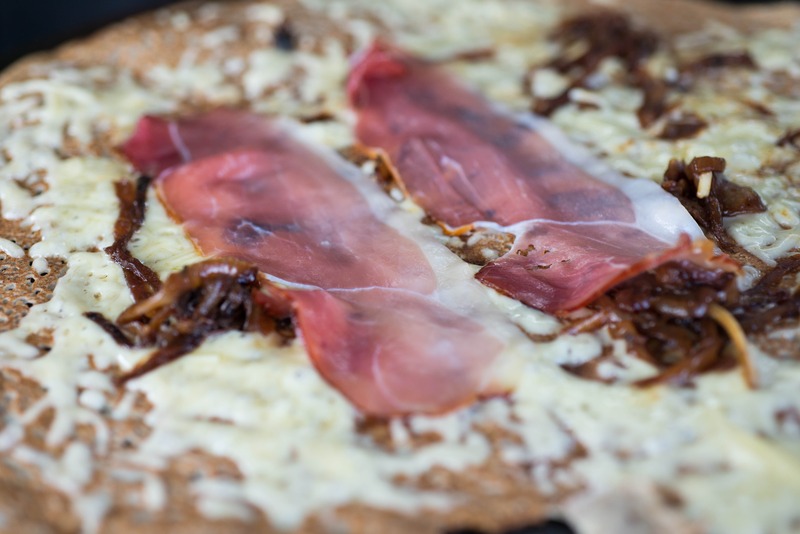 The team can cater for vegetarians, vegans if requested, and meat eaters. 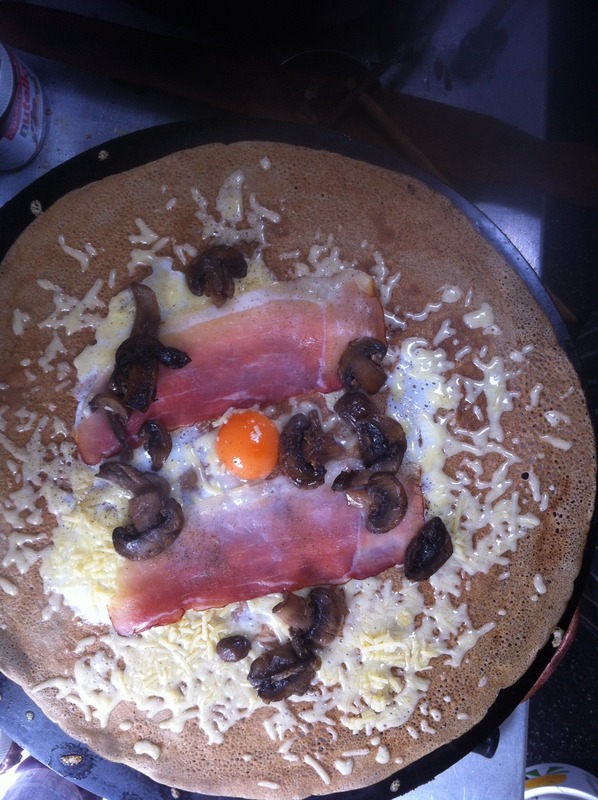 The galettes (savoury buckwheat pancake wraps) are gluten-free, and the crepes can also be. Served in cones, perfect if you're standing with a glass of wine, or if you prefer, on plates. 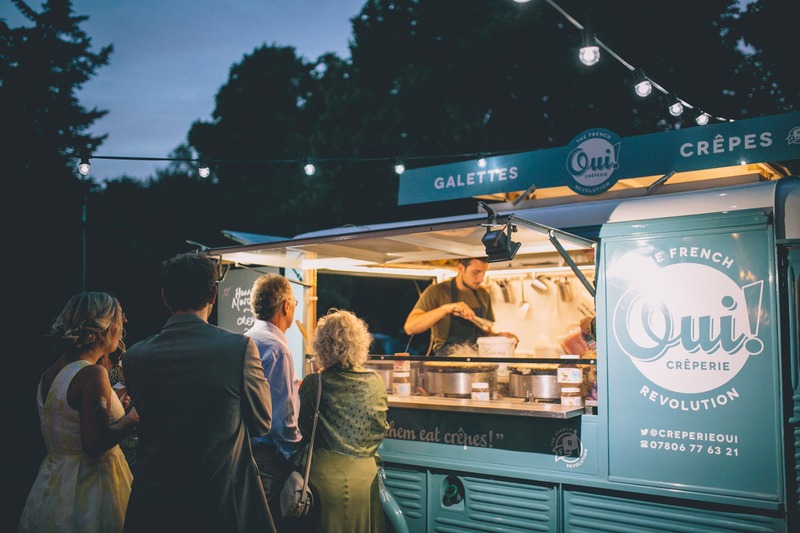 The French Revolution team have attended a large number of weddings, parties, and corporate events in the last ten years- galettes are the perfect party food! 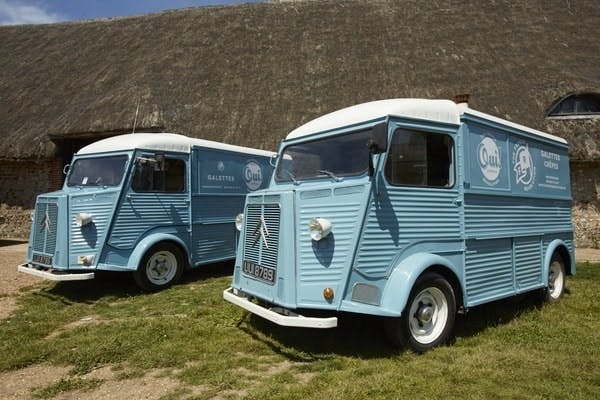 If you’d like to give your next event the wow-factor with The French Revolution’s beautiful blue vintage van and delicious crepes and galettes - book them here on Feast It and you won’t be disappointed!